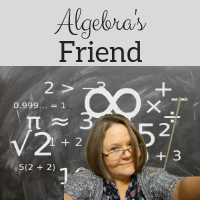 Algebra's Friend: Growth Mindset, Picture Books, The First Two Weeks of School! I LOVE picture books! I love sharing them with students of all ages! 1. Everyone loves a story! 2. Picture books are short enough to read aloud. 3. While the text and pictures are engaging, there are often complex themes to which you can make great connections with older students - yes, even high schoolers! 4. Picture books can spark the discussion that you want to have with students! Here are a few excellent books to consider when discussing, illustrating, and connecting to growth mindset! There are more as well!